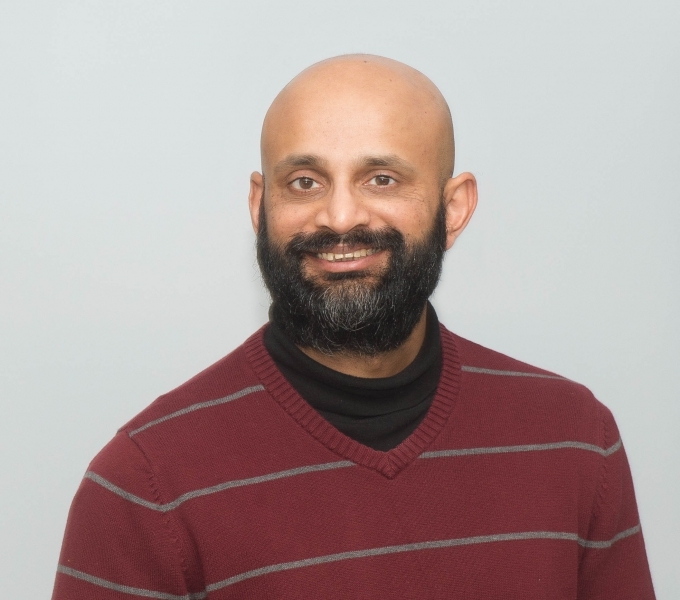 Gurudev Dutt focuses on the quantum control of condensed matter systems. Advances in material fabrication and nanotechnology have pushed modern electronic and optical devices to regimes where quantum properties of matter become important. A key feature of quantum physics is the quantum superposition principle. For a single particle, this permits the existence of a phase coherent quantum wavefunction; for two or more particles, quantum entangled wavefunctions exhibit non-classical correlations between the particles. Quantum coherence and entanglement are not only the cornerstone of modern physics, but also have become tools in the growing field of quantum information science and technology with which to realize new paradigms for secure communication, enhanced computation, and precision metrology. While there have been a number of demonstrations of fundamental principles using isolated atoms and photons, coherent quantum control and large scale entanglement remains experimentally challenging in robust, stable condensed matter systems. The basic building blocks of these solid-state quantum systems are simple, and familiar to most physicists: single spins, photons and springs. The Dutt group is building quantum control toolboxes for tstyle=hesesystems, motivated by the need for larger interconnected systems. Tools from several areas such as nuclear magnetic resonance, quantum optics, quantum information science, chemistry and nanoscience are required in this hybrid approach. National Science Foundation CAREER award, 2009. Alfred P. Sloan Research Fellowship, 2010. Department of Energy Early Career award, 2011. Entanglement paper in Nature featured in Pittsburgh Post-Gazette article, and on NPR. Interview with our group members in Pitt News. NSF Career award featured on Pitt website. Alfred Sloan fellowship award featured on Pitt website and New York Times. "Quantum Entanglement between a single photon and a solid-state spin qubit", E. Togan, Y. Chu, A. Trifonov, L. Jian, J. Maze, L. Childress, M. V. Gurudev Dutt, A. Sorensen, P. R. Hemmer, A. S. Zibrov, M. D. Lukin, Nature 466, 730 (2010).